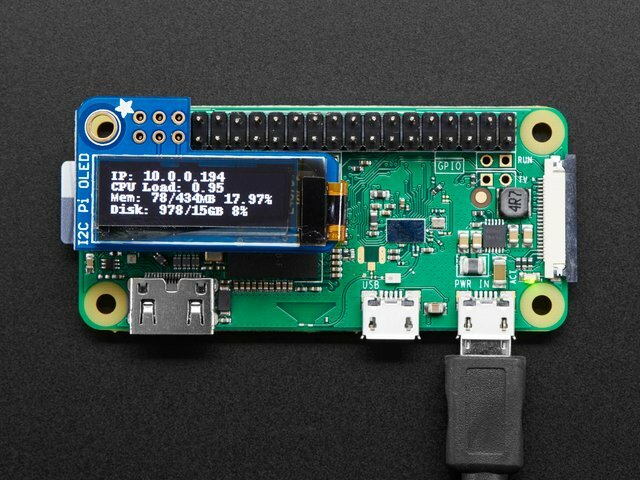 The Adafruit PiOLED is your little OLED pal, ready to snap onto any and all Raspberry Pi computers, to give you a little display. The PiOLED comes with a monochrome 128x32 OLED, with sharp white pixels. The OLED uses only the I2C pins so you have plenty of GPIO connections available for buttons, LEDs, sensors, etc. It's also nice and compact so it will fit into any case. This guide was first published on May 31, 2017. It was last updated on May 31, 2017. This page (Overview) was last updated on Apr 19, 2019.